What if your husband is a Japan’s sexiest and hottest singer-songwriter, and their marriage is the top secret of the television business? His romantic lovesongs capture the hearts of countless numbers of young women throughout the country. 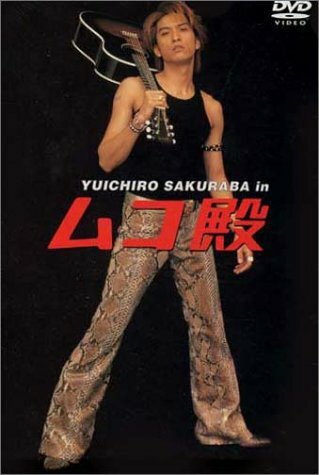 Despite the amont of attention he gets and the big bucks that he makes, he prefers to spend time by himself in a quiet peaceful place…Well, at least that’s what his fans think.Underneath his cool exterior lies the “real” Yuichiro Sakuraba, who is a clumsy but warm-hearted 23-year-old lad. Wearing thick glasses, he is literary the lousiest dresser on earth. He even has a beloved girl friend Sakura (Yuko Takeuchi) who he has been dating secretly. Sakura unlike most girls of her age had no interest in stars and celebrities. When she met Yuichiro for the first time, she did not even realize who he was. She, being so different from any other girl Yuichiro had ever met, he instantly fell in love with her.The story begins to unfold when Yuichiro proposes marriage to Sakura. Yuichiro who lost his parents at a young age had been longing to build a family of his own. She accepts on the spot, however her father is violently opposed to letting his daughter marry "Japan's sexiest singer". All seven members of Sakura's family have extremely unique personalities, and provide quite the obstacles for their marriage. Will Yuichiro be able to win Sakura’s hand in marriage and be accepted as a member of her family?This is a comical, yet heart-warming home drama focusing on “family bonds”. The sudden emergence of Yuichiro shakes Sakura’s family, causing frictions in all directions. Whenever Yuichiro or other members of the family face a problem, there is always someone else close by to offer a helping hand. Mama2 May 02 2018 7:52 pm I'm in love with the husband!!! ell Nov 17 2012 5:37 am may i know the ost song... the one that yuichiro keep singing whenever he get concert/show..
RamenLover Oct 08 2008 2:59 pm m_azngurl -- let us know how you liked the drama.